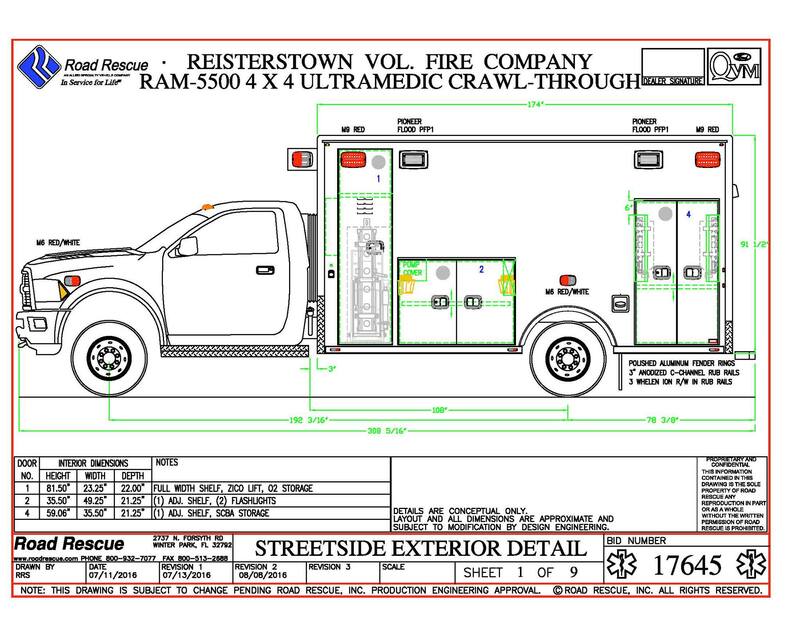 The Reisterstown VFC has ordered a new medic unit to replace Medic 415. 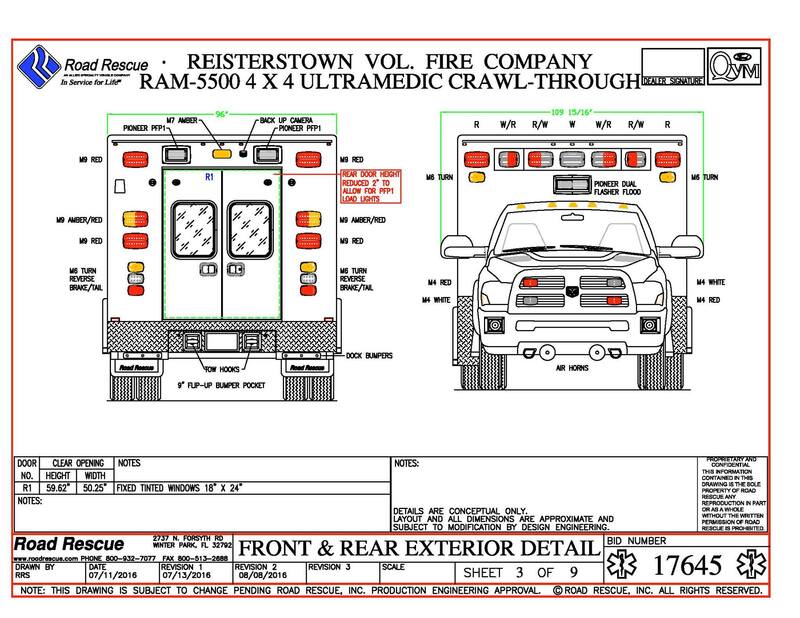 The new Medic 415 will be manufactured by Road Rescue in Winter Park Florida. It will be mounted on a 2017 Dodge 5500 4×4. The new unit will have an all aluminum body that will be mounted on a liquid spring suspension. 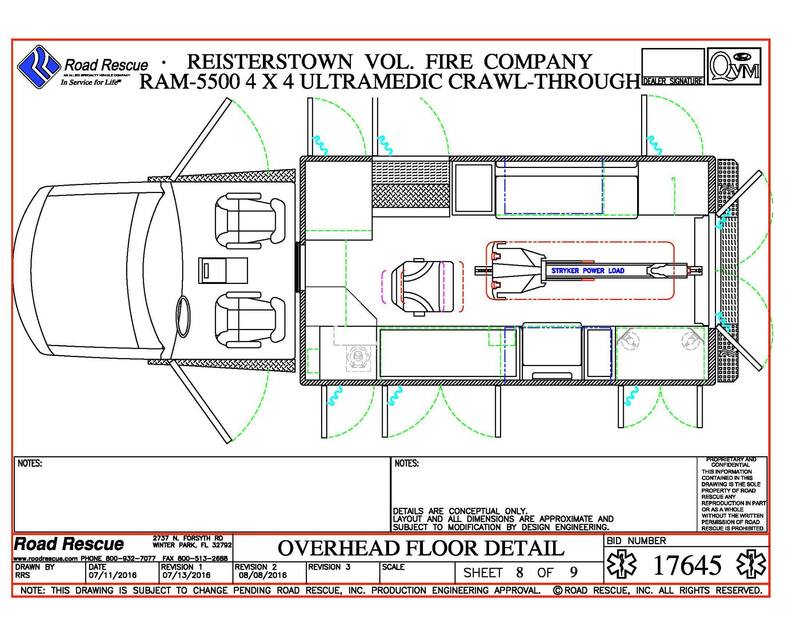 The new unit will have a Stryker Power load system to assist loading the cot in the rear of the unit. The cost of maintaining our current 10 year old unit has been steadily rising. 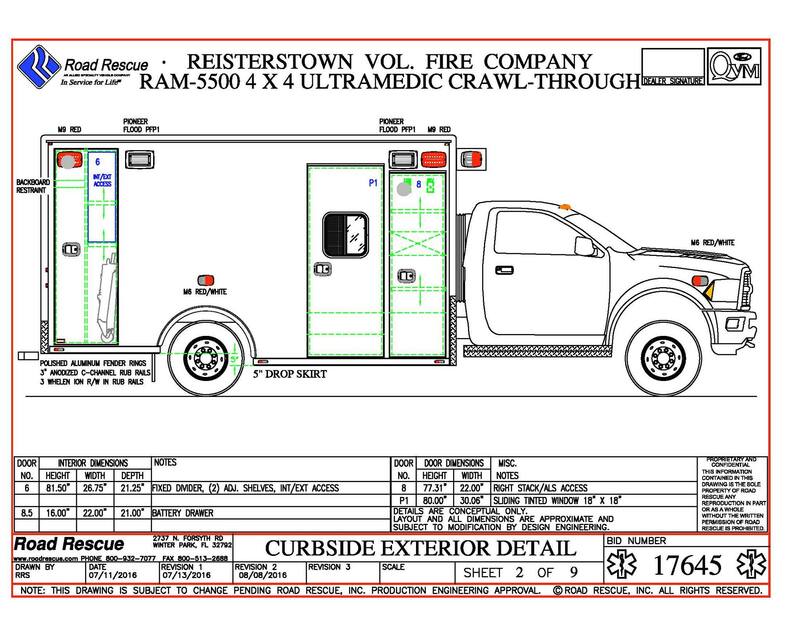 The new unit should be in Reisterstown sometime this winter.